Tip and Trick - Page 252 of 254 - Tips and Tricks on Computing, Technology, Software, Internet and Gadgets. After upgrading to WordPress 2.5 RC2, some WordPress iinstallation will return completely blank web page or all blog posts, pages and even wp-admin administrator dashboard and other administrative panel. Or the following error will be displayed (the error message will also be logged and captured in Apache error_log). For lovers of Shakespeare’s works, all the 75 editions of the Bard’s plays printed in quarto format before 1641 will be available online soon. The Bodleian Library in Oxford and Folger Shakespeare Library in Washington have teamed up to download their vast collections, capitalizing on the work of the British Library which digitalized its collection of quarto editions four years ago. The downloading is expected to take a year to complete. There is no greater proof of the merging of art and science. 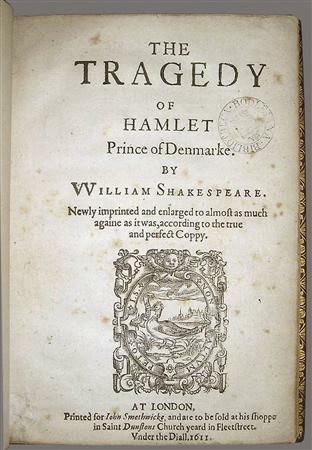 Hamlet will not only breathe through the pages of a book or the theater stage and film, but also through the computer screen. How small can a mobile phone be? An Israeli company, Modu Mobile, released a tiny mobile phone weighing around 40.1g and measuring 72mm x 37mm x 7.8mm. Modu Mobile which was funded by Dov Moran, who sold msystems to SanDisk claimed that this newly launched handset is the world’s smallest and lightest mobile phone available. The Modu phone was designed in a very unique way. It can operate as a standalone phone and also can be fitted into different cases or so called ‘jackets’. Users can slot the underlying Modu phone to different jackets from time to time to have different graphics or color schemes on its display. Besides, users also can slot the Modu phone to some jackets which can enhance or add extra functions of the original device. For instance, users can slot Modu into a GPS device to display maps for addresses that a user has saved on the phone. A home cordless phone could display numbers and other address book information when a Modu is plugged into its base. The Korean consumer electronics giant, Samsung has recently announced the launch of its Anycall Haptic premium touchscreen phone (model: SCH-W420/SPH-W4200), which can use 22 different types of vibration to simulate actual feels and actions. Despite saying that WordPress 2.5 is basically done and stable when introducing WordPress 2.5 RC1 (Release Candidate 1) as sneak peek, there are still must fix bugs that must be ironed out, and thus the final RTM version of WordPress 2.5 continue to delay, although it’s already behind schedule.